Q:) How would you describe your style as a wedding photographer? A:) I usually refer to my work as natural. I like to capture the candid moments of your day and remain as unobtrusive as possible. I favor natural light over flash, so you’re not barraged with blinking lights. During formals, I work with you to make sure you feel comfortable and look like a superstar. I tend to have a more modern, magazine-style when it comes to formals, but I always customize the shoot to what you want, because its YOUR day, after all! Q:) What kind of equipment do you use? Q:) Do you use flash? A:) I try to keep flash to a minimum. Natural light gives the rich, deep colors we all love, and allows for a more intimate experience. When flash is needed, I use Nikon professional flashes and off-camera flash. 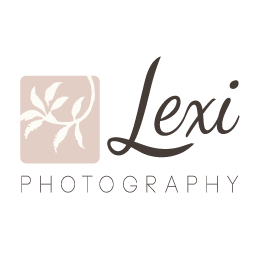 Q:) Does Lexi actually photograph my wedding herself? A:) Absolutely—if you hire me, I’m your wedding photographer! I take pride in my work and personally photograph every wedding that I book. I also have a second wedding photographer on site with me for the event. This second shooter is in places that I cannot be, such as inside the church while I am outside and taking candid shots during the reception. This ensures full coverage of your event. Q:) Do you photograph engagement portraits or rehearsal dinner coverage? A:) Yes. You can always add rehearsal dinner coverage to your wedding package. As far as engagement sessions, I love them! Thats why I include complimentary engagement portrait sessions with every package. Not only are they a great way to get to know your wedding photographer, they also serve as a rehearsal for your big day. Its a chance to get over your camera shyness and figure out what works for you (I look great when I smile! ), and what doesn’t (stop slouching!). Q:) Do you host my wedding pictures online? A:) Of course! I host your event for up to 3 months on a password-protected site that allows your family and friends to order prints direct from the gallery. This is a fast, easy, and secure way to share your wedding pictures with those you love. Q:) How fast will I be able to view my wedding photos? A:) Fast. It is important that your wedding photographer be able to give you speedy turnaround on your photos. I generally post a Facebook and Instagram sneak peek within a couple of days and your wedding blog post within a week or two. I will have all your wedding pictures online within 4 weeks of your big day. Q:) How much do you require as a deposit for your services? A:) I ask for a signed contract and a $1,000 deposit to hold your date. I accept cash, credit card, and even personal check. Q:) Will my wedding be awesome? A:) Yes it will. It will be one for the books, I assure you. Why? Because you’re marrying someone who loves you. Isn’t that amazing?